As I begin posting on the Golf Nomad blog, I am kind of working my way backward through some of my golf adventures. I’ve taken a few mini-trips this year to get just far enough away to feel like I’m on vacation and also get to play some great courses that require a bit more of a drive than usual. In late October, a friend and I took a weekend trip out to the Palm Springs area. Really, it’s only about a 1.5 hour drive from where I live in Orange County, but definitely a different vibe out in the desert. I had just purchased a Red Dot golf discount book. It was $41 at Roger Dunn. Not only did I get the 2011 book to use through the end of this year, but I also get the 2012 edition I can use all of next year. This one trip, however, pretty much paid for this book! Though I play many rounds as a single, a lot of the discounts in this book are 2-for-1 deals, so it was worth it to take a friend along. 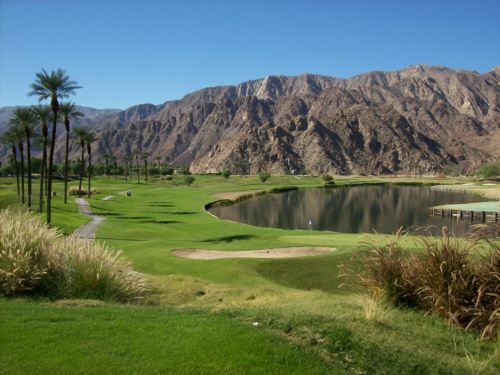 Plus he is much more versed on Palm Springs area golf. I’ve only been out there a couple of times myself. Note: I have posted a much more recent review of this course, celebrating the 7th Anniversary of this site. This article you are looking at now is actually the first story I ever posted on this blog. Check out my updated review from 2018. 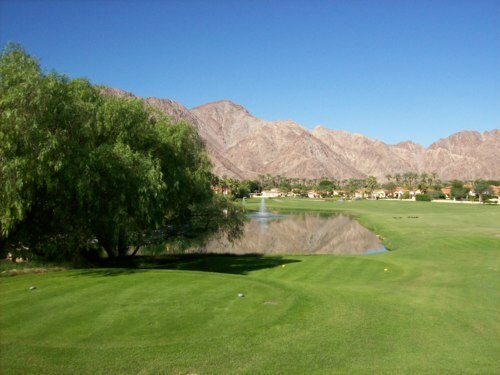 On Saturday afternoon, we played The Golf Club at Terra Lago (South Course) in Indio. The North Course had just closed for overseeding. With the 2-for-1 Red Dot discount, we each paid half-price. The full rack rate was $85, so we each paid only $42.50. There weren’t too many people out there, which enabled us to tee off a bit earlier than our tee time. The course was in great shape, though the greens were quite slow which messes with your mind a bit when you expect fast desert greens. We could see the North Course (apparently the more popular course there with more signature holes) from the clubhouse and it was in rough shape due to its overseeding process. It was a nice round. It was hot out, but not unbearable. Lots of road runners, which made me happy. 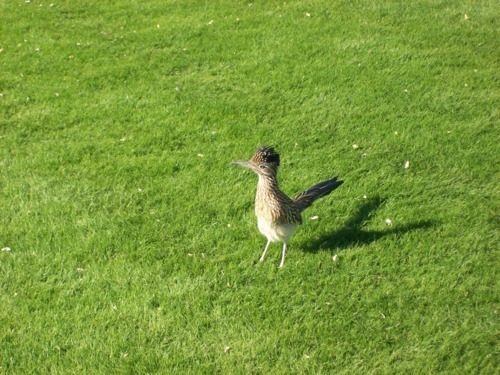 I just love road runners! I started out the front side playing great, but fell apart toward the end of the front nine. My friend never got it going and played the worst round I’ve ever seen him play. He was spraying the ball everywhere. At times it was funny. At times a bit uncomfortable because he was so frustrated with himself. 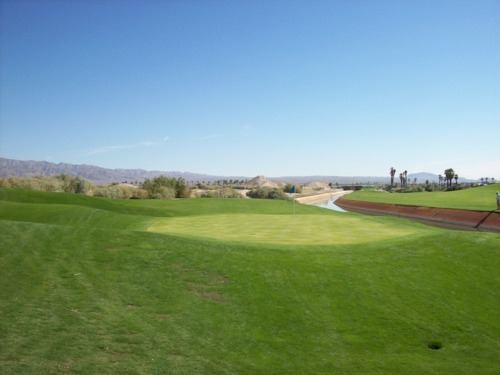 The South Course at Terra Lago is a nice desert course and a different perspective of the local scenery from the north/east side of the 10 Freeway. 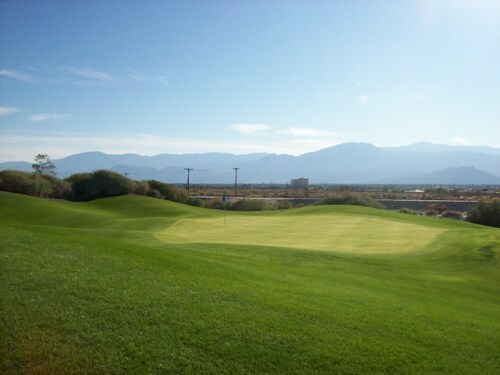 Unlike most courses in the Palm Springs area, this one is not surrounded at all by houses, which I liked. The layout was decent. Nothing spectacular, but solid. Kind of course that can punish you if you are off your game, but can reward you if you are playing well. SIDE NOTE: We ate that night at Las Casuelas Nuevas in Rancho Mirage, which is a must-stop in the area, especially if you are a Mexican food enthusiast like myself. There are several variations of Las Casuelas in the region—all good, but this location seems to be the consensus favorite. They have a beautiful outdoor patio area where most guests sit. Good food and great atmosphere. The more heralded Mountain Course was being overseeded at the time or we would have opted to play there. It is still on the top of my “wish list” for the Palm Springs area. They had just re-opened the Dunes Course after overseeding, but it was in great shape. For a Sunday morning, there was hardly anybody out there. This was also a Red Dot discount (2-for-1), so we each payed $64.50 instead of the normal $129. Great deal! With the driving range closed, we headed up to the first tee right away to check in with the starter even though our tee time was still an hour away. At the time, this elderly fellow seemed super nice. He said we could tee off whenever we were ready. There was a small practice green right there, so we hit a few putts before heading over. We got out to the tee, took a couple minutes to stretch (as is customary), took a few pictures and my friend was just about ready to hit his first ball when things got weird. The starter ran down and yelled at us “I need the tee! I need the tee!” We looked back in acknowledgement, assuming he wanted to hold us back to let another group (who had just checked in for their tee time) play in front of us. So as we paused and started walking off the tee he yelled again—something to the effect of “What are you waiting for? Hurry up!” Apparently he didn’t want us to wait. The whole exchange was awkward. We were confused and a bit angered by it, but we rushed our tee shots and rushed through that entire first hole. After that, we were able to laugh off the rough start and it was smooth sailing. The guys behind us never really crowded up on us and by the time we caught up to the group in front of us it all didn’t matter. It was just a weird thing to do. For a renowned resort course like this (especially when there’s hardly anybody out on the course), you’d expect a friendly style of service from the starter. Instead we got this negative encounter. Oh well. The course was in good shape and is a nice challenging layout. The first hole was tricky (compounded by our “rushed” feeling), then the next few holes were pretty benign. I even remarked that some of those holes seemed a little too basic for a Pete Dye course. Then around hole 6, things started getting tougher. Lots of water, which made the course even more beautiful and challenging. 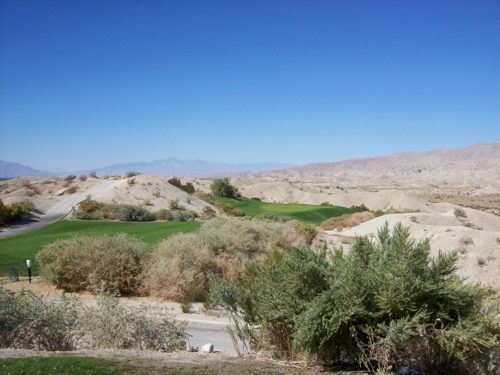 Though not right at the base of the mountains like the Mountain Course, the Dunes Course has scenic views surrounding every hole and looks great. 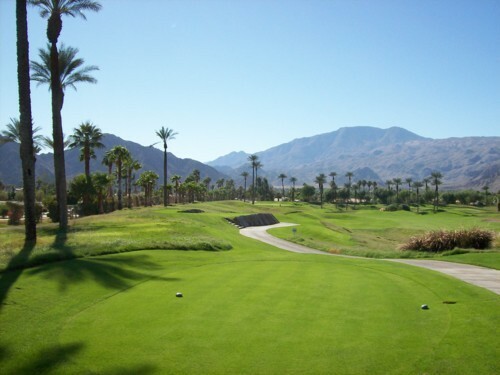 I highly recommend either of the two courses we played this weekend and look forward to my next visit to the Palm Springs area. 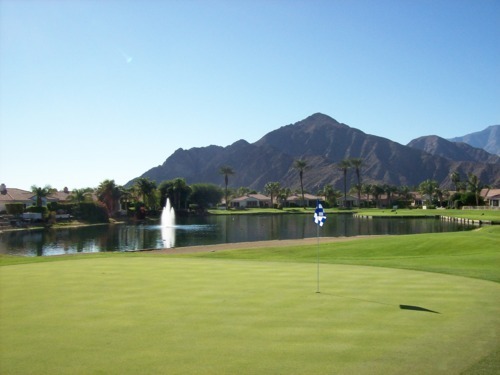 There are so many great courses out there, it’s a never-ending source of golf enjoyment. In the summer, you can get incredible deals (if you are willing to put up with the extreme heat). Fall is a great time to play, but you have to dig a little deeper to find deals. Also be aware that many of these courses close down for long periods in the fall months for overseeding, so make sure to check conditions!